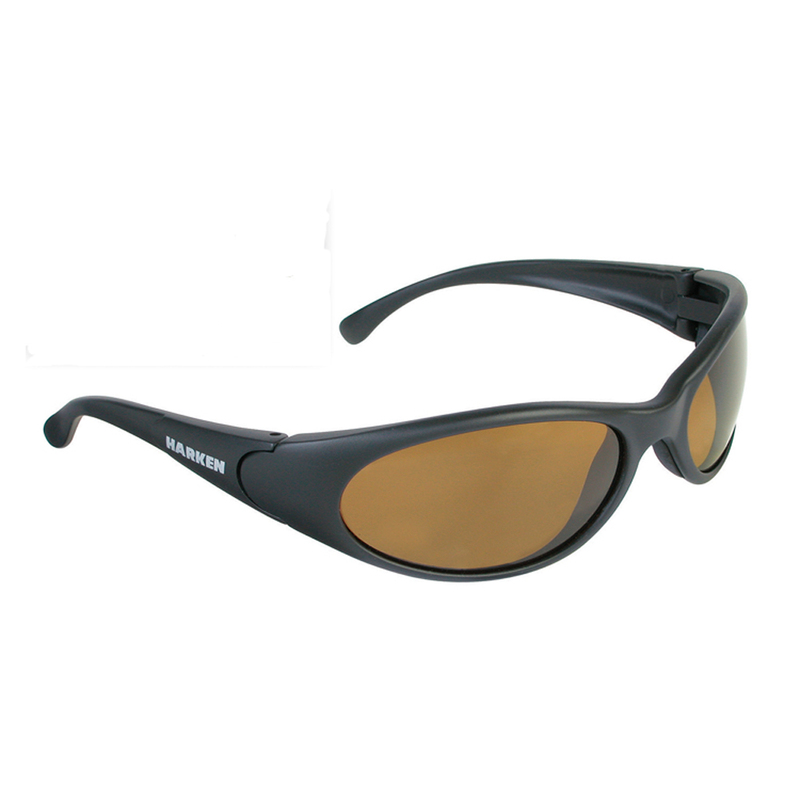 Harken's polarized sunglasses enhance your vision while eliminating UV rays and glare. The special amber lenses sharpen details and increase contrast in both the sky and the water. An anti-glare coating is bonded to the inside of the lens to reduce "bounce-back" rays. Frames are strong and flexible with heavy-duty hinges. Features lightweight, tough polycarbonate, polarized amber lenses. Water-shedding coating is chemically bonded to the plastic. Comes with a custom Harken Mylar silver and black case.